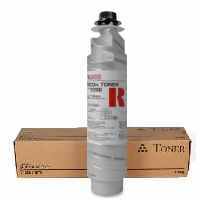 Genuine OEM Ricoh Toner Cartridge, Black, 11,000 page yield. Ricoh part number: Ricoh 841337, 841337, 89870, 888169, 885288, 9870, 480-0068, 717-0035, TYPE 2120D. Laser Toner Cartridge compatible with Ricoh Aficio 1022, 1027, 2022, 2027, 2032, 3025, 3030, MP 2352SP, MP 2510, MP 2550, MP 2553, MP 2851, MP 2852, MP 3010, MP 3053, MP 3350, MP 3351, MP 3352, MP 3353. The product works just the same as any where else that I have purchased it from. The pricing is a fraction of the cost!! Compatible Ricoh Toner Cartridge, Black, 11,000 page yield. Replaces Ricoh part number: Ricoh 841337, 841337, 89870, 888169, 885288, 9870, 480-0068, 717-0035, TYPE 2120D. Laser Toner Cartridge compatible with Ricoh Aficio 1022, 1027, 2022, 2027, 2032, 3025, 3030, MP 2352SP, MP 2510, MP 2550, MP 2553, MP 2851, MP 2852, MP 3010, MP 3053, MP 3350, MP 3351, MP 3352, MP 3353.